ExtraKun here wrapping up the finale of Master’s Sun! So sad to see it go but delighted the ending was everything we (Lore and I) hoped for! This is our last Super Fun Chat time until November, but we will continue to deliver many more treats on other shows, with guest collaborators. Enjoy and leave comments! How did you like the ending? Lore: Oh, um, wow. So many things, so many things to talk about. Let’s start with discussing Episode 16 and how we felt about it, and then get to the final! So, “Little” Sun and the plane… hahahaha. Ekun: I love how Master said, “I never thought I’d see the day I would have to commend her for her acting.” I love the mean/ complimentary comments from him. Even Chun Hee knew she was acting! HA! Lore: Yeah, way to compliment with an insult, Master! I like how having “Little” Sun pretend to be sick was a different kind of take on the “You can’t go, I will stop you at the airport!” trope. I also loved that Chun Hee totally knew what was going on. So for me episode 16 was all about Gong Shil and Master justifying breaking up for a time (or at least Gong Shil leaving). Lore: *Swoon in tandem* I think that letting go, taking a break, or what not was a huge step for both of these characters. They started out as complete messes, grew up or grew “human” with each other and then realized they still had some growth left. Ekun: I think that they both were very adult throughout the entire drama though they have certain characteristics that can be child- like (which I think we are all prone to display). This is one of the first dramas to make me believe romantic comedies happen in real life! I love when they were on the date and that couple was about to sit down and he said leave them! If I am about to break up I don’t want to see other couples! Lore: I think they were adult to an extent, but also needed to figure out a lot of things and mature. Or maybe just not be so messed up emotionally. I loved that too! The entire date made me smile. It was sooo them! Ekun: I think it comes down to choices. What made them so adult is that they were willing to make choices even if it meant sacrificing one’s own happiness. Lore: I agree on that part, it was very mature of them to make the choices that they did. What did you think of the end of episode 16 when you watched it? Ekun: I thought what happened—happened! She still would be seeing ghost but she wanted to be with him and no longer hated herself. Did you hear how confident she sounded when she was rejecting first guy and Master? Lore: Yeah, you could tell that something had changed. I was not sure if she could still see ghosts or not…it made me all pins and needles! So that gives us…drum roll please….the finale! Your choice where we start this rant? Ekun: Wait! Before that, we have to discuss all the blooming couples. “Little” Sun finally “attacked” Kang Woo! Gong Ri got a boo too! Lore: Yeah, that is right. I guess I wayyy jumped ahead with all of my glee towards the final. 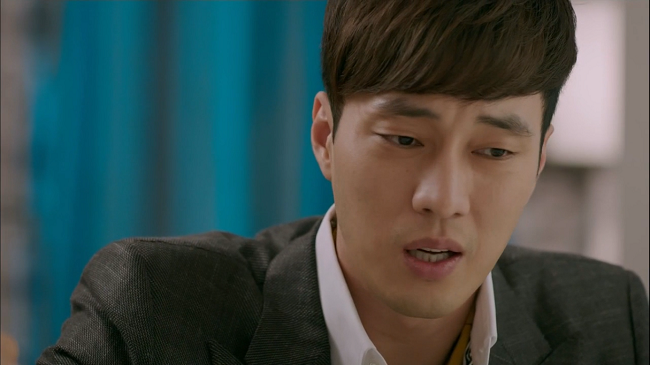 I was really happy that Kang Woo and “Little” Sun made progress, even if it was attacking progress. And Gong Ri, I have been cheering for. She has not been a major character, but has shown herself to be that type of unnie any girl would be lucky to have. Ekun: I loved that she was so supportive of her sister’s decisions. She always wanted Tae Yang to do what she wanted to do. She and Big Mouth were a sure thing from episode 1. Lore: Yep, I got that vibe too. It was only strengthened when he was with Gong Ri when she encountered her ex. You could tell these two were set up to be more than friends. Ekun: Kang Woo won many a battle, but ultimately lost the war again Yi Ryeong aka “Little” Sun. I know you are turning cartwheels right now. Lore: Yes, I am. Thank you for noticing. I have been dancing and shouting “The couple that WILL be!” ever since. I feel so much better now. I could not have handled another of that couple I refuse to name. Not this year at least. I need some time… before I see that again. Ekun: I am glad we got to see them together. She can stop singing Tae Yang’s “Look only at me”. Unnichan pointed out that unintended pun last week. Tae Yang’s song being sang by Tae Yang? Get it? Secretary Ahjussi! I will bring you some ice cream if you want to come to my house! Lore: I missed that! The Hong sisters know how to rock the puns! Ekun: Oh no, not them. It was what I said last week in our post. I made the pun unintentionally. Lore: I seriously missed something…..which is nothing new. Oh! Okay, E-Kun knows how to rock the puns! Haha. I think I get it now (Unnie is a little slow some days). Ekun: It happens to the best of us. On to the crux of the show…. Will these two (Master and his Sun) end up together?! Lore: Yes, yes, yes! If they did not we would already be in Korea with squirt guns! Or in jail in Korea, you know what happens—happens. Lore: Speaking of Big Bang, are you watching WIN? Because GD is on it and so is Tae Yang, and um….I am seriously addicted? Okay, sorry, rambling off topic. Ekun: It is cool. I am not watching it because I know it is addictive. I have 50 million things to do and only 20 million get done a day! Lore: Go Team A! Okay, back to Master, what did you think about when he was reunited with “his Sun” (in the beginning of the final)? Ekun: I sang Anita Baker’s “No One in the World” in my head. I wish I were kidding. Since music was my major in college, it is hard not to put a song with 90% of situations that happen in dramas and in my everyday life. Lore: You do that too?! I am being serious, (note – this might make me sound like a total freak) but when I start watching a drama I download one of the OST MV or just clips, and find a song and make my own little dorky MV. I always associate the song to the drama then. For MS it was the song Shine by Collective Soul. We should make an Eboni / Lore super duper drama music video sometime! Or we could pretend like I never admitted I do this—either one. Ekun: UMMMM… We are so doing that! We can do it for the next drama we chat with. Lore: Yeah! Back to Master and Ms. Sun, their reunion was great and fit their characters well. I just about died with laughter when he stopped her in the taxi – and of course then we were rewarded with another Gong Shil possession montage. I love the cat. Meow! Ekun: It was the absolute best! The cat! I knew it was coming! I almost died from laughter. Lore: When she tried to scratch him I just about died too! And the French seductress – “You can’t drink that, it is not alcohol” Still laughing. Lore: Yeah, I know it showed how Gong Shil had changed from the first time she was thinking this while laying in bed with Master, but girl—that is just stupid not to take the man up on his offer, even if you are “mature”. I would have been like…well, that is best left in my head. Ekun: But when she asked him what was going on, didn’t it seem a little fake to you? I thought she was joking at first. Perhaps it was just me. Lore: I agree it did seem like she was faking. But I think she wanted to be faking her reaction as well, as she wanted to be that sophisticated and changed woman that returned to seduce Master. Which brings me to another one of my favorite funny moments of the finale – Master not telling Gong Shil he knew she could still see ghosts! Lore: I have texted you a bazillion times asking when you would make the first call?! Hahahahah! Master, this is why I love you! The finale certainly carried on this couple’s unique relationship right up until the end. The humor, the back and forth, the weird stumbling blocks, all of it. I felt like this was major fan service, but after it ended I realized it was just consistency that felt right, and made me one happy fan. Ekun: She talking business and he talking phone calls. I loved it so much it could have ended there. Lore: Yeah—she wanted to buy the place so she could “deserve” him, all the while he is trying to get her to call him so they can go out. What in the what what?! You two are so freaking amazingly endearing, awwww, sighs. Ekun: I love what he said to her when she was drunk and explaining her strategy to seduce him. How he said you already “got” me so why are you waiting?! And it was so true Ms. Sun. It’s like The Roots song, “Baby don’t worry you know that you got meeee”. Lore: Yeah, she was trying to get what she already had. But it made for some funny moments, that’s for sure. Did you agree with Gong Shil and her thought that she had to win Master over again? I kind of felt like it made no sense, but after I thought about I think it went hand in hand with her new self worth. She had to win Master over as the new her (at least in her mind), I think everyone else knew that she had already won. Ekun: It was only for her doing. Master has been laid up like a 50 cent crack ho (figuratively speaking) because she rolled out for a year. He would have wanted to be with her even if she was still depressed and a mess because she was “HIS SUN”. But she needed to feel that she was not a dangerous Sun or a threat to him. Did she have to win him over again? Absolutely not, but do I respect her for thinking she needed to? Sure, why not. As long as they ended up together I could care less what happens in between! Auntie is Preggers! Lore: Master is going to have a cousin! This was hilarious, and a twist I could never have foreseen. And it led to Gong Shil inspiring Aunt to just love take the risk and not be alone. I really liked this Gong Shil / Aunt conversation because it was almost like an inside joke brought back up (the conversation where two people are not talking about the same thing but kind of talking about the same thing. “Wait, are you talking about you now or me?” Oh, Aunt! Ekun: I was glad she got pregnant and knew as soon as she said she was not feeling well I was like, “Oh, you pregnant girl!” I loved what Gong Shil said too. Love does not mean you will be happy all the time, but you will not be lonely or wanting for something. Love ultimately is a choice. Great pearls of wisdom from Ms. Sun. Lore: Agreed. The message that it is not easy, but something that you chose because of what it gives you, was a great message. 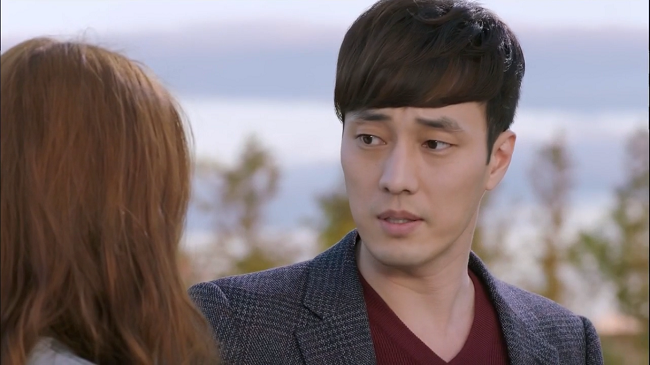 So…thoughts on Kang Woo and “Little” Sun’s relationship as shown in the final? Ekun: She a silly, silly sun until the end. How did she not know he was trying to protect her by taking her to remote locations and whatnot? And she was out of pocket until the end—A kiss on the red carpet? Who does that unless it’s a kid or your mother? Ekun: Agreed, did you notice how 3 of the 4 couples were older women with younger men? That was kind of awesome because it was not the main focus of the story and the men did not seem like they were young (except for Emo and her husband, but that is because he just silly). Lore: I never thought of that, but you are right, the majority of relationships were older women – younger men. That is awesome, because it was not this huge focus. 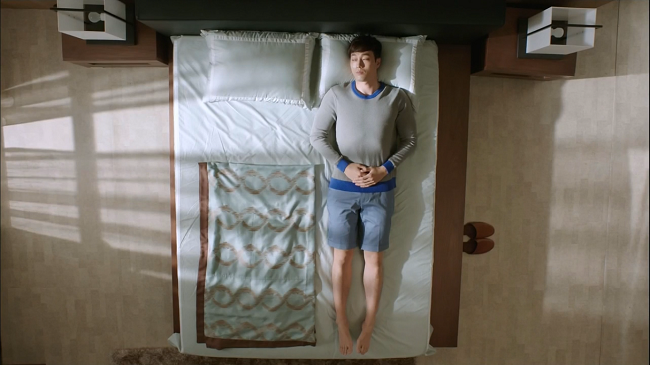 Sometimes the “noona romance” thing can get tiring – we know you are older already! Note- IHYV (I Hear Your Voice) is excluded from this comment. Ekun: I loved the women in this drama as well. “Little” Sun was a little annoying, but she grows on you. You can really see these women being your friend unlike how when I watch other dramas. I always feel like I need to shank a heifer for being stupid 24/7. Lore: Yes, the rare case of liking all of the characters (well, all but the twin thing, who could like her!). A well rounded and likeable set of characters if I do say so myself. I like how the finale also gave the resident ghosts – the “Coffee Boy” and the” Trashcan Appa” a story. But can we agree that Chun Hee was kind of underutilized in this whole story? I feel like his character should have either been introduced earlier, or not been there at all. Ekun: Ne, they did get to tell their stories and get some closure. And look, don’t deprive me of my opportunity to see Chun Hee Oppa! I will watch that man blow his nose for 16 episodes! But the non cray cray side of me agrees. That is a notorious move on the Hong Sisters part but I know they were pissed for having to add an extra episode, so I was not mad at them this time. Final Thoughts? Lore: Master’s Sun is in my top 3 for 2013. The series was hilarious and well written. The conclusion was satisfying, and even if everything about this show was not perfect (Chun Hee under utilization, the extension, the amnesia) I really like this drama. I will miss it, and miss seeing Master every week….sigh…..sigh…. *rewatch last episode* Withdrawals are hard…. Ekun: I will miss the show as well. I am glad I am not “drama fatigued” or depressed like after watching The Princess’ Man (I stop watching dramas for 4 months), but it will be missed. Love is a choice, the impossible can happen, and there is NO one in the World like Master Joo Joong Won! Until next time you crazy drama watchers—Peace!